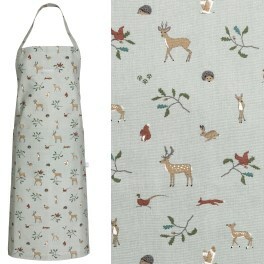 We stock a selection of Aprons in cotton, pvc and oil cloth. If there is a blue link on the pattern name this means there are matching accessories also available in this range. Just click the blue pattern name to see the full range we have in stock. If you are looking for a Ulster Weavers or Waltons & Co design we don't have in stock please don't hesitate to contact us. 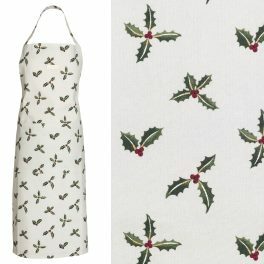 Postage: We normally dispatch aprons to mainland UK addresses by 2nd Class post. If the cost of postage and packaging is less than the shopping carts automatically calculated postage we will refund the difference.